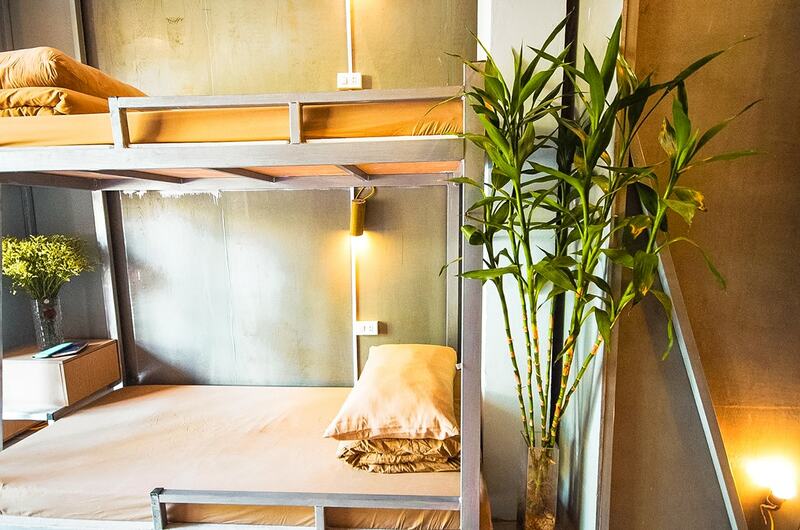 Tucked among the chaotic streets of Hanoi is the perfect place to relax after a busy day, Chien Hostel. From the moment you walk through the front doors you will be welcomed by staff and other travelers alike. I absolutely loved my stay at Chien Hostel. The facilities, dorm rooms and atmosphere completely blew away all expectations. I actually stayed here on three different occasions while exploring Vietnam. Located in the popular Old Quarter, Chien Hostel is in the perfect location to stay when in Hanoi. It is a short walk to the popular Hoàn Kiếm Lake. It is also surrounded by plenty of shopping opportunities and of course amazing banh mi stalls. If you are arriving in Hanoi directly at the airport I highly recommend booking your taxi with Chien Hostels. I emailed them in advance to organize the pick up and I was impressed with my experience. The driver even stuck around while we were delayed getting our Vietnamese Visas. Booking our taxi directly with Chien Hostels made arriving in Hanoi easy and painless, with the driver waiting at the arrivals area and him knowing exactly where we were to be dropped off. The address is 12-14 Au Trieu, Hang Trong Ward, Hoan Kiem District, Hanoi. There are three different dorm options when staying at Chien Hostel, either 8,12 or 20 beds. These rooms are all air conditioned as well. I stayed in the 20 bed dorm and had such amazing sleeps every night. The rooms are quiet and everybody respected each others privacy. With a modern, clean design with hints of greenery the rooms provide a relaxed area. This is perfect for sleeping and much needed downtime from the streets of Hanoi. 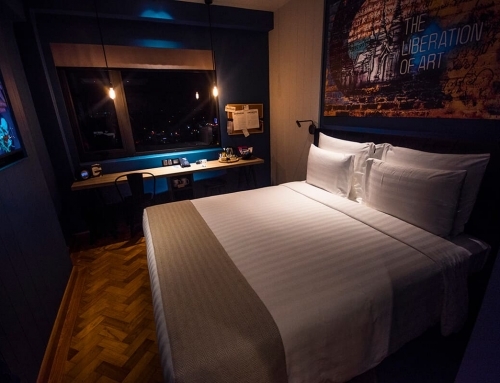 The beds are extremely comfortable with fluffy pillows and a large duvet, a rare thing in South East Asia. At Chien Hostel the beds are extremely sturdy, and even with somebody moving in the bottom bed you will not feel a thing. This is a big plus as you will be avoiding the common issue in other hostels of the wobbly bunk. There is plenty of space in the bed area as well. So, if you do get a little claustrophobic, it will not be the case here. Each bed comes with its own personal locker, private light and power sockets. These are the main essentials of any hostel bed ensuring you have everything you need directly by you. There is also a lot of storage room around the bed for housing your backpack or suitcase. Ultimately, keeping it out of the main way of traffic in the main walkways of the room. This is an important aspect, especially when you are sharing a room with twenty other people. Chien Hostel may not have any private rooms. Though, if you prefer the company of a special someone they do have a few double dorm beds. James and I slept on one of these and it was excellent. Sometimes you just have a better sleep when you have someone familiar next to you. This is a rare occurrence in hostel life. To book one of these beds contact Chien Hostel in advance and they will do their best to accommodate you. 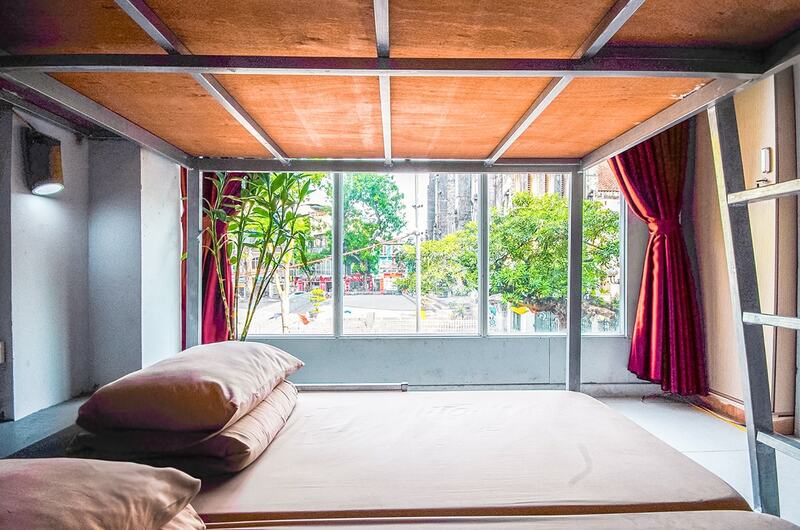 Chein Hostel has everything you need during your stay in Hanoi, from a rooftop bar with the most amazing views of the neighboring church to an onsite gym. You will always be able to find you own quiet place in this bustling Hostel with so many levels and a dedicated chill out area. 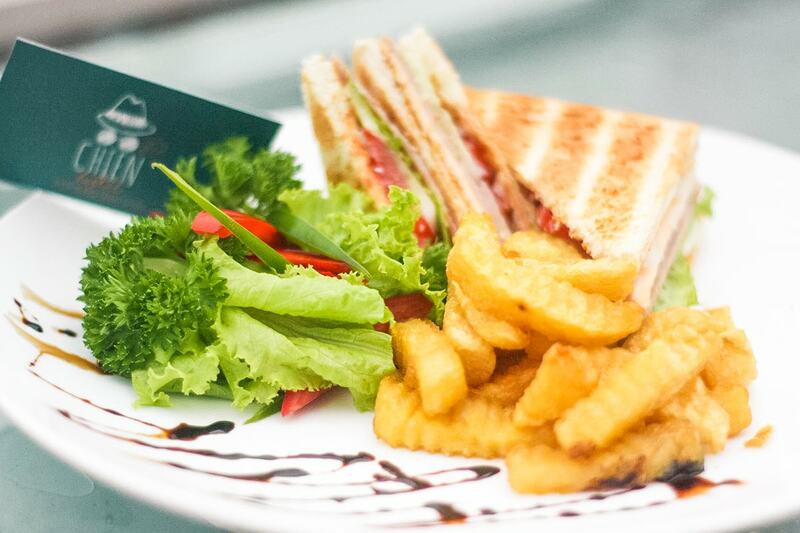 There is also a restaurant on the first floor with plenty of tables to relax and enjoy your delicious meals. I was wonderfully surprised at how affordable the prices of food and drinks were. Especially in a touristy area where you will often find the same meal at a restaurant for twice the price. There is also fast free WIFI available in all areas at Chien Hostel. This was a lifesaver when skyping home and binge watching TV shows on Netflix at the end of the day. One bonus is the luggage storage available especially if you are using Hanoi is a base while exploring Sapa and Ha Long Bay like I did. Nobody wants to be dragging around a big backpack when not necessary. So knowing you can leave it at Chien Hostel and that it would be safe is super helpful. What deserves an honorable mention and of course its own paragraph is the free beer multiple times per day at Chien Hostel. You will quickly come to realize when staying here that it is very social and the free beer certainly contributes to the atmosphere. This is a real plus if you are wanting to make friends, because everyone will be hanging on the first floor where they do the happy hours. Though, if this is not your cup of tea you can always head to your peaceful dorm room where no drinking is allowed, or opt for one of their amazing cocktails instead. Apart from the free beer there are also some other awesome extra freebies included in the price when staying at Chien Hostel. My favorite meal of the day in no doubt breakfast and theirs is nothing like all those other basic free breakfasts that you get when staying at hostels in South East Asia. 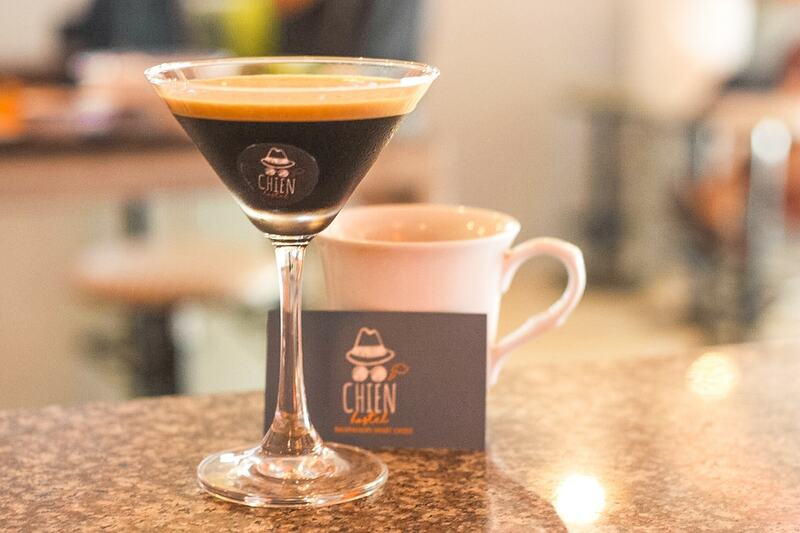 Instead at Chien Hostel you will be starting the most important meal of the day with a wide selection. Ensuring you will have the energy to explore Hanoi. From toast, cereals, eggs, noodles and basically everything you could want for an amazing breakfast. Oh, and my favorite part, it’s a buffet breakfast. Meaning you can keep eating until you cannot eat anymore whilst having some awesome conversation with other travelers in the common area. Another amazing freebie included in the room price is a free walking tour. 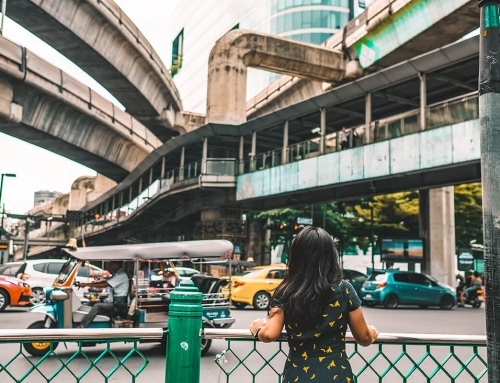 One of the staff member will take you around the busy city of Hanoi, introducing you to the culture, teaching you how to navigate the crazy traffic and letting you in on the locals secrets of where to eat. This is a real bonus if you are just arriving in Vietnam like I was. Partaking in the free walking tour with Chien Hostel allowed me to learn the layout of the Old Quarter. I was also able to ask my tour guide insider questions about traveling Vietnam. What is great when staying at Chien Hostel is that you are able to book some excellent tours around Vietnam with them. This saves you having to hop around all the travel agencies dotted around the Old Quarter. 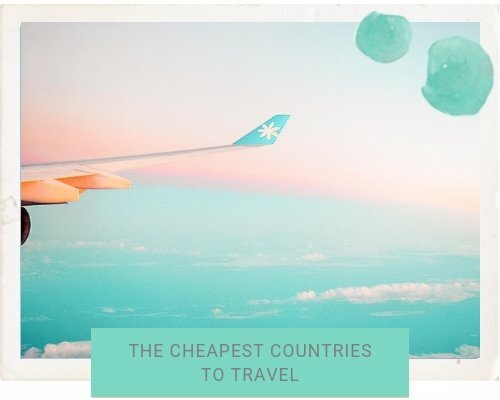 Dealing with the hassle of trying to find the best prices and a tour which will not be a disaster. Instead you can book your tours directly at the reception desk and depending on the length of time and what you purchase you may get a free nights stay or a free meal. This is what I did on my Ha Long Bay Tour with Ocean Tours. It was easy to book. I even got picked up right at Chien Hostel on the day and dropped off there when I returned. Having somewhere secure to keep my bags was also an advantage and the staff knew I would not be gone for long. Apart from the Ha Long Bay tour, you can also book tours to another popular area of Northern Vietnam, Sapa. There are multiple day lengths you can choose from ensuring you find the best tour for you. Disclaimer: This post is not sponsored. I genuinely enjoyed my stay with Chien Hostel and do recommend booking with them when in Hanoi, Vietnam. This post contains affiliate links. So, if you click on it and purchase something, I get a small percentage at no extra cost to you. As always all opinions are my own and your support is much appreciated. Who doesn’t love free beer? I seriously am in love with the view from the rooftop tho, definitely a gem hostel! Looks like you had a great stay! Although I typically don’t book in dorms anymore (I’m an old fart and like my own room), these look comfy, spacious, well-lit, and clean! Free beer is always a plus! Looks like such a great hotel! Will definitely keep it in mind if I’m ever in Hanoi! 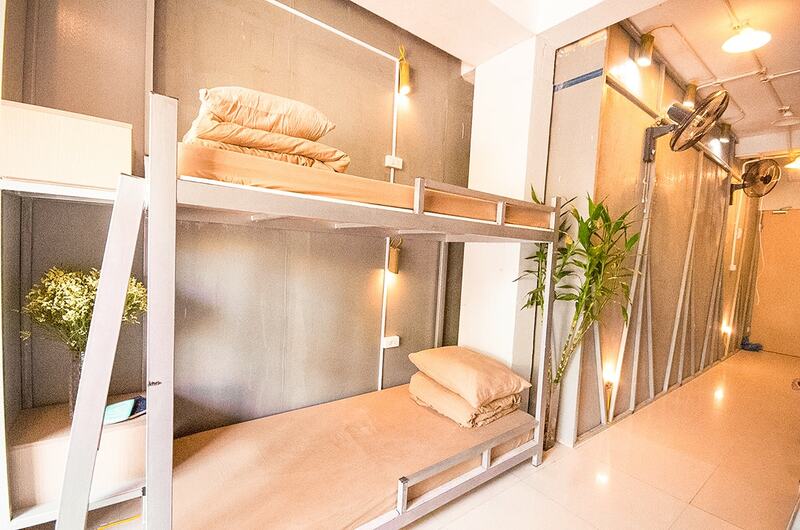 This looks like a fantastic hostel! The walking tour sounds fantastic; every hostel should offer that! I wouldn’t turn down the free beer either, obvs. Wow, the extra amenities sound great. Love the free beer and walking tours! Wowwww this hostel looks incredible! 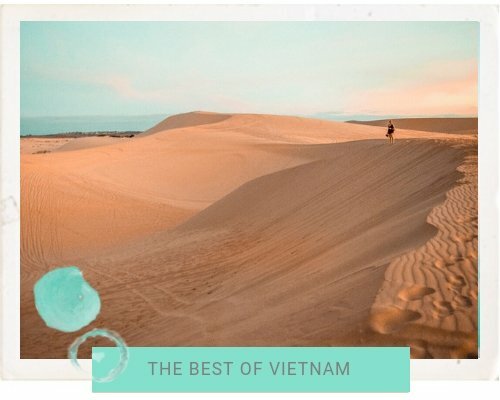 Definitely will check it out when I head to Vietnam! The dorms look really nice and clean and wow, free beer! Awesome! Looks like a beautiful hostel and great free stuff! 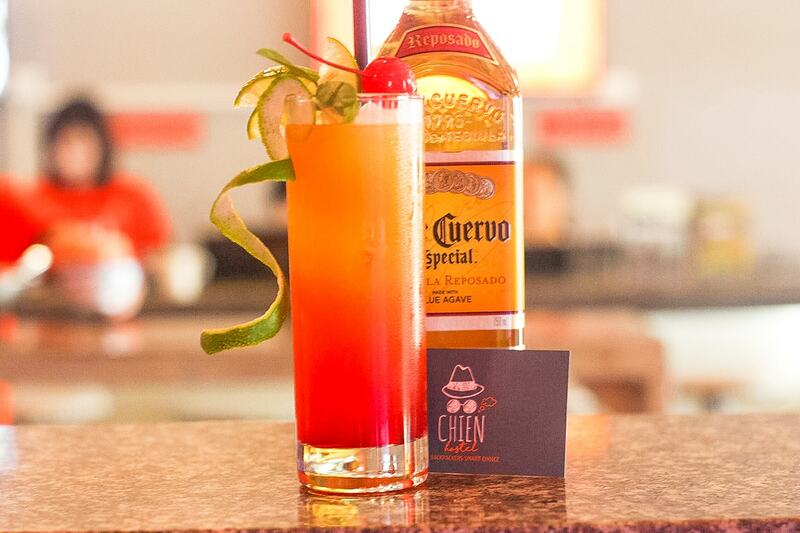 Btw, did you know that Chien means dog in French? Which makes the name even cooler! It does look like a really nice hostel. The bed are so nice and it looks so clean. Plus you gotta love all those freebies! WOW is all I can say! Whenever I see the word hostel I’m always apprehensive but this place looks FANTASTIC! The decor looks incredible and so welcoming… and so does the free beer! It’s really nice to read about a stay described with such positive words. 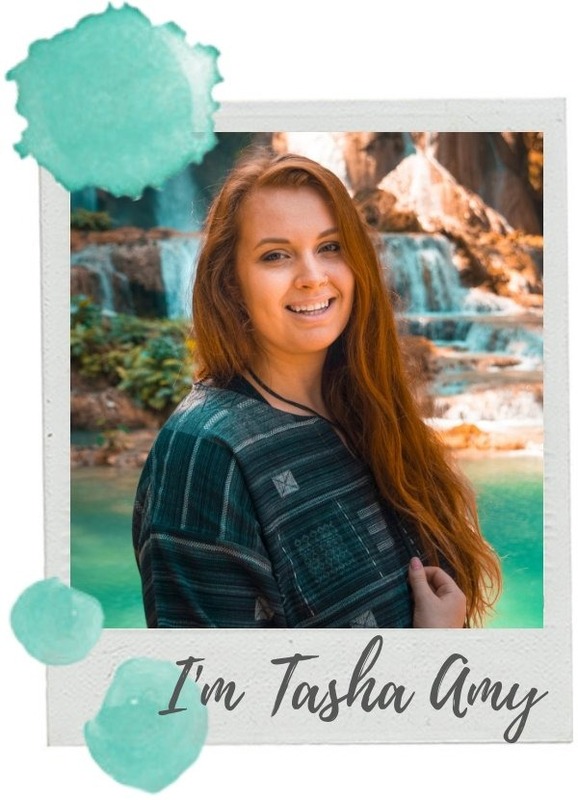 It really seems like this was a special place for you, and the fact that they also provide extra amenities like the taxi and luggage storage are very nice services. Great looking hostel, I haven’t yet stayed in any but I hope to. I’d stay there! That’s a pretty sweet looking hostel. I’ve only stayed at a couple in my life, and this is definitely nicer! Would love to visit Vietnam. Wow so much free stuff, love it! Looks like a great place to stay. Modern clean looking and I love the extras they offer! DEFINITELY saving this for my next trip to Vietnam!! Any hostel that has both FREE BEER and the option for a bed to share with my husband is definitely a winner 😉 thank you so much for the hot tip! Free beer!!! 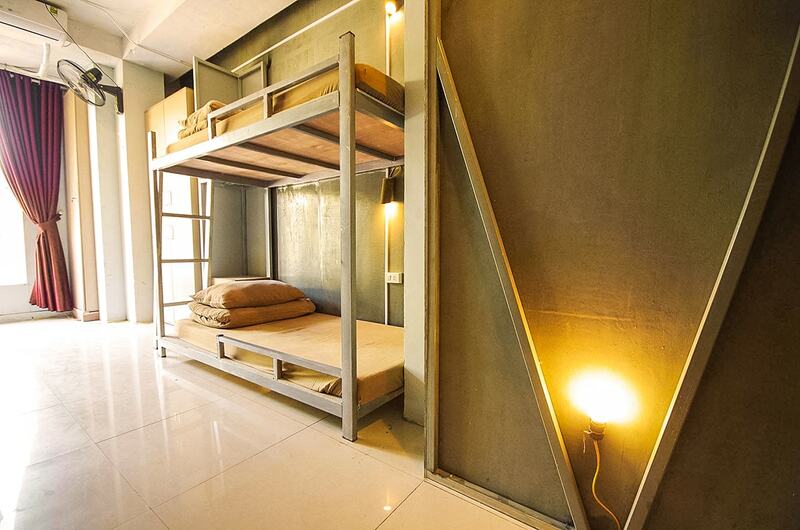 Haha this hostel looks lovely, will definitely put it on my list when I make it to Vietnam! This looks like a lovely, bright and clean hostel. Love the fact that they have double dorm beds too. Great option! I never know if Hostels are actually good or not before booking them. But this is a good summary and seems like a really nice hostel! Thanks for sharing! That looks really nice! And I love that you get a free walking tour with it; what a great idea! Wow it’s so nicely decorated! I loved the Old Quarter in Hanoi. What a beautifully stylish place to stay in, and right in the middle of this fascinating city too. 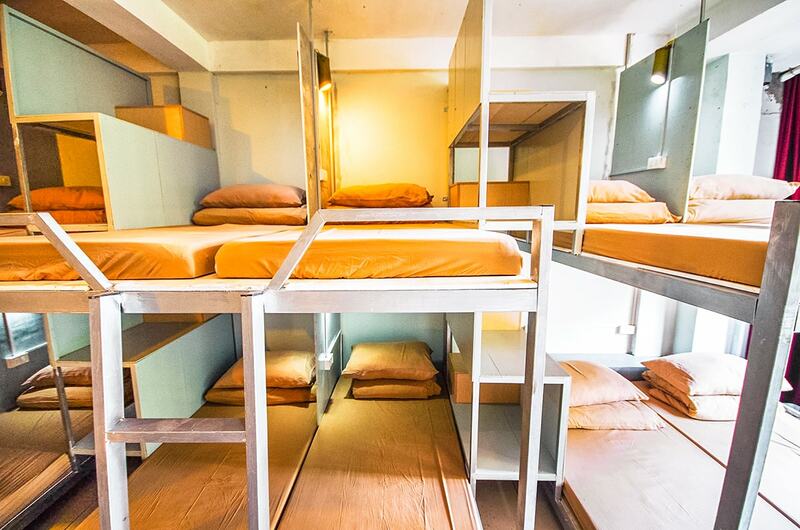 I remember travelling around Vietnam nearly 20 years ago, and the dorm rooms were very different back then! The food looks great, it also looks so clean and organised. wow, those views from the rooftop along are enough to convince me (and the free beer hehehe)! this is such a clean and crisp hostel! thank you for sharing! This seems like a fantastic place to stay! I mean, free beer obviously (haha) but it looks so clean and orderly. Especially like how solid the bunkbeds look. I have been to Hanoi about three times now, even lived there for three months but have never heard of this hostel! 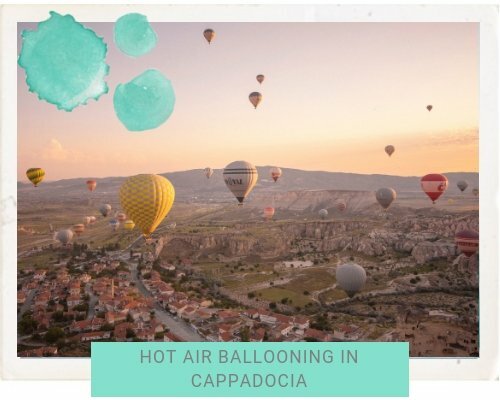 Will definitely pin this for later, it looks amazing, and I am planning to go back very soon! Wow! Looks like an awesome hostel! And free beer? Heck yes! Great review, it looks like a really nice hostel!